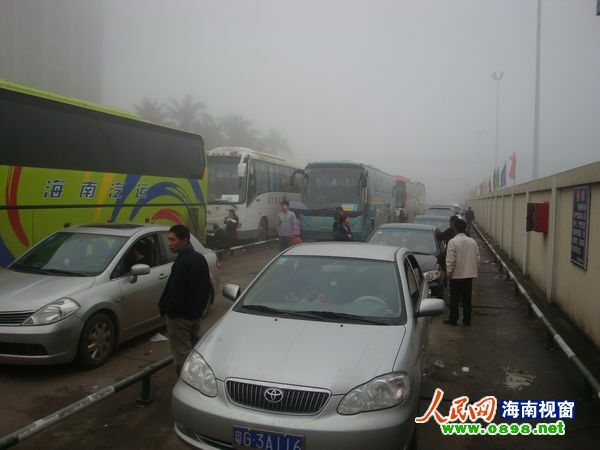 Thousands of passengers and more than 1,000 vehicles were stranded at Haikou ports as heavy fog shrouded Qiongzhou Strait during the past two days, reports hainan.net. 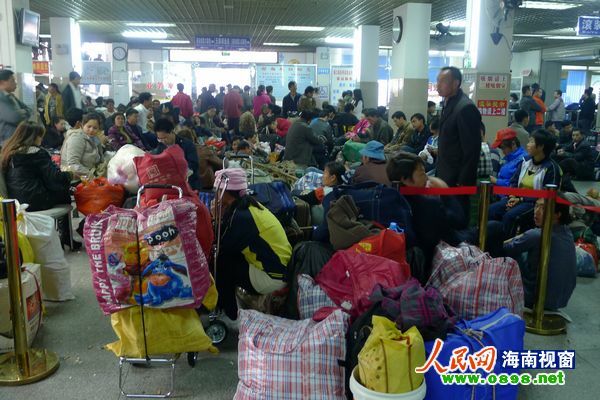 The foggy weather has brought inconvenience to passengers who are heading home for family reunion as the 2012 Spring Festival travel rush started last Sunday. Ferry services across the Qiongzhou Strait were all suspended on Sunday. According to the Haikou Maritime Bureau, the Xiuying Port was temporarily closed 4 times from 8:00 of 14th to 11:00 of 15th Jan due to the fog. At 12:30 on 15th Jan, the foggy weather improved and 11 vessels left Haikou Port to Hai’an. At present, the Haikou Port is taking measures to divert the stranded passengers and vehicles.